Magnesium is the most abundant mineral in the body – and it’s a relaxing one. Literally. It relaxes the blood vessels keeping blood pressure nice and healthy; it relaxes smooth muscle, easing cramps; it keeps the nervous system nourished, relaxing little eye and other “nudgy” twitches, and it relaxes you – your mind and spirit – making us more able to handle stress and get better sleep. Magnesium is involved in over 300 reactions in which it serves as a co-enyzme – meaning the reaction can’t happen without magnesium as a partner. It supports functions as wide ranging as keeping your heart rate steady to helping with the production of glutathione necessary for detoxification processes in your liver, bone formation and strength, protein synthesis, to keeping your blood sugar steady. So it’s no wonder that one of the signs of magnesium insufficiency is chocolate craving – because chocolate is rich in magnesium. It’s also one of the minerals I recommend the most frequently in my medical practice, and I want to share with you how I use it, so you can take care of any of the symptoms I mentioned above easily and naturally (if you start magnesium and they improve, that suggests that low magnesium was the cause) and learn how simple it is to use. You might wonder why we get low in magnesium. It’s because the modern food supply strips our food of this nutrient, and depletes our bodies. Food processing, such as refining grains in ways that remove the nutrient-rich germ and bran, lower magnesium content substantially – another important reason to avoid processed, packaged foods. Also, coffee and soda deplete this mineral, and often, we’re just not getting a varied enough magnesium-rich diet to keep up with our needs. Fortunately, magnesium is found in a wide variety of super healthy foods. Dark green leafy vegetables, legumes, nuts, seeds, and whole grains, are good sources. Here’s a rundown of how I recommend magnesium – please note that I am mostly using magnesium glycinate, which is highly absorbable – except for treating constipation, in which case I’m using another highly absorbable form – magnesium citrate. Only the citrate form acts as a laxative – so if you’re taking the other kind, no need to worry about running to the bathroom! For eye twitches, restless legs and other muscle cramps: 600-1200 mg magnesium glycinate daily until the symptom is completely gone, then 600-1000 mg daily for several months. For restless legs make sure to take at least 600mg before bed each night. For constipation: 400-600 mg magnesium citrate before bed, or up to 600 mg magnesium citrate twice daily until it starts working, which should be in a just a few days after starting it. If your stools get on the looser side, drop back a dose – the proper dose is one that gives you a healthy, soft but firm stool daily. It’s also one of the go-to remedies in my migraine prevention plan. This plan has helped many of my patients to overcome chronic migraines – and I hope it brings you tremendous relief, too. Are there any cautions? Yes, a few. If you have high blood pressure and are on medications for it, magnesium can add to the blood pressure lowering effect; while this might be a great thing because your doctor might be able to work with you to lower your BP medication dose, it can also contribute to your BP dropping too low, so check with your doctor before starting; ditto that if you are on any medications for hearth rhythm control. And if you have kidney disease, please check with your doctor before taking magnesium. Is this safe to take while you are pregnant and breastfeeding? Generally, yes, but it’s always a good idea to check with your midwife or doctor before taking anything while you’re pregnant. If you’d like to hear me chat about this topic, tune into Natural MD Radio where I talk about magnesium for women, too! And make sure to leave a review on iTunes! I take a "high efficiency" magnesium supplement that's a blend of magnesium citrate, taurinate, malate, glycinate, and succinate. The dosage is 800 mg total/day, and I take 1,200 three days before and the first two days of my period. Should I switch to one that's glycerinate only? If so, which brands do you recommend? For some strange reason when I take magnesium at night, it keeps me from falling asleep for hours. I have problems sleeping through the night but have no problem falling asleep the first time. So I can't take any natural sleep aids because they all seem to contain magnesium. Very frustrating. Informative post as always Aviva. I'm taking liquid Magnesium Formula (Floradix) will this work in the same way, and with the same benefits as Magnesium Glycinate? Many thanks for your advice. Yes, it should, but not for constipation, and check the amount of Mg in the formulation to make sure you're getting the dose you need. I am taking 600 - 800 magnesium citrate daily, for bowels. But am dealing with a lot of stress and anxiety right now so wondering if I can take some magnesium glycine also. I am 87 have osteoporosis and leaky gut issues. Ok so i really love this information BUT is the mg in pill form? Is there a liquid version? Is there a brand or type of magnesium that you recommend? Or even which ones to stsy away from? With so many supplement companies popping out "health supplements" to the masses, im leary of what to try , where and from whom. Any info would be much appreciated. es, there are liquid forms for sure! Do we have to take our weight into account when trying to decide how many milligrams to take? Does it matter? I've heard that magnesium supplementation can cause loose stools. I have this issue, and haven't investigated yet if it's the magnesium- I've been buys cutting out foods, getting tested for parasites, etc. Is it the case that magnesium supplementation can cause loose stools? Are there any other ways to get the amount of magnesium needed without risking loose stools and poor food absorption? Thanks! What about Epsom salt in baths (for women and kids)? What is your take on using that as a supplement for magnesium? I don't recommend this as an alternative to supplementation -- not enough is absorbed -- but yes, very relaxing and possibly some transdermal absorption. I'm going to have my husband try this for sleep issues. Is it ok for him to take on a regular basis or for only a short time? Thanks so much for always putting out such great, helpful content! Hi Dr. Romm! I was wondering if there is a brand of magnesium glycinate that you would recommend? Hi Rachel, Any brand at a major health food store is totally fine. Hello, Aviva can you tell me the appropriate doses for kids. I haven't seen a Mg supplement on the kid's shelf. My daughter is 13 and would love to get her on Mg. I have started with just 150mg daily. Thank you. How about magnesium oil? Any suggestions on how/whether to use that? Thank you! Hi Dr. Romm. Any comments on the timing of mg supplementing before bedtime for night shift workers? Does it matter if it's taken before bed in the AM or PM, and switching back and forth between days working and days off? Does it help with supporting a messed up Circadian rhythm when there's no chance in the near future of switching to days? Hi Devorah, This is a great question. Adaptogens are actually optimal for night shift workers - as for magnesium, I'd play with the timing and see what works for you. If for sleep, restless legs, etc, I'd take before bed - whenever that is for you. hello Aviva, I just discovered your podcast by browsing ITunes, and listened to your podcast on Magnesium. very helpful! a question: I have ulcertative colitis. would I have to reduce the dosage of Magnesium to treat my chronic constipation because of having UC? thanks in advance for your help. Not likely, but start with a lower dose and work your way up, rather than starting with a higher dose. The 4R program for healing your gut, in another of my blogs, may also be of interest to you. Hi, I was wondering if you recommend the liquid form of magnesium, the magnesium oil that's supposed to be used transdermally? Thanks! Hi Alina, I don't find the transdermal to be very effective' the liquid, powder, and capsule forms orally seem to work much better. But that's just based on experience in my practice - not sure what the research shows. I read your information about magnesium helps to nourish the nervous system. Would you recommend magnesium glycerinate to help a person who feels anxious to help to calm them, and if so what dosage? Thank you kindly. Hi Aviva, Can Magnesium Citrate be used for long periods of time or is there a time frame one should stop using it? I'm worried about the body relying on the citrate to make a bowel movement. Yes - there is no outer time frame of use. That said, increasing dietary fiber, fermented foods, and priobiotic are more appropriate for long term to get you pooping regularly. Then the citrate can be taken as needed. Is absorbtion of the Mg glycanite affected if taken with DIM, milk thistle and 5-MTHF? Nope, shouldn't be affected at all. Hi Aviva, For menstrual cramps, you recommend up to 1200 mg magnesium glycinate. Is this elemental magnesium? My actual supplement is 900 mg magnesium bisglycinate per capsule providing 100 mg of elemental magnesium. The label recommends 3 capsules daily. Is it too much? Thank you ! Hi Maud, That dose is the total gms of magnesium per day, per supplement. How about liquid magnesium chloride? This is what I've been taking http://www.iherb.com/Eidon-Mineral-Supplements-Magnesium-Liquid-Concentrate-2-oz-60-ml/26010?CAWELAID=120224250000006568&gclid=Cj0KEQjwt763BRDZx_Xg3-Pv2cABEiQAoDfeGCh9643Mk8oi4vz-xDKBnAum37IEajjFT8zaCBQBjEAaAiVG8P8HAQ But it's chloride and you only mentioned glycenate and citrate... Is this good and what is it good for? I suffer from TMJ. I add magnesium in powder form to my evening tea. And I rub Magnesium oil on my temples and jaw before bedtime. It seems to help. I add chia seeds to a lot of my meals as they are high in magnesium. Is this the right form of magnesium or should I add other forms to get the health benefits? Than you! I'm wondering how long you can stay on Mg Citrate for constipation? It works great for me, until I go off, then back to the old issues. My diet is high in fiber, and I have tried many other things but the MG Citrate seems to be the best help. I'm just not sure if it's safe to take daily longterm? Thank you for your great posts and help! Pretty much indefinitely, but best to up fiber to 30 grams/day and see if that helps. Also, dairy is a big cause of constipation -- in kid 50% cure rate just from taking dairy out; pretty good for adults, too. Why would we need to contact our doc if using magnesium for high blood pressure? I am considering magnesium glycinate. I am not on any medication at this time. Hi Marlene, With high blood pressure it is always best to speak with your doctor with any intervention really. It's more for your protection so you can be sure that this is or is not a good option for you!. I have just started taking Magnesium for anxiety, periods and low blood sugar issues. I was wondering if it would also be ok for my husband? He has trouble staying asleep and has restless legs. I'm starting with 800mg (2 400mg pills) and would like to give him the same. Just want to make sure the dose is ok to start him with. Thanks! Thanks for the info! Do you have any special recommendations for pregnant women and magnesium? Hello! I just began listening to your podcasts and I am in love!! Thank you thank you. I have been taking "Calm" magnesium supplement for the past month-ish. I deal with constipation, sleep issues, anxiety, etc. It has been working wonderfully its just that I also notice that when I start something... it tends to not work as well after a little bit. So when I first started taking the supplement I slept like a lamb and pooped like a champ..now I'm kind of back to sleeping sub-par (always wake up in the middle of night, some difficulty falling asleep) and need multiple trips to the toilet in the morning to feel fully cleaned out..which doesn't always happen. Is it okay to up my dose even more? I take about 3-4 tsp which is 975-1,300 mg. Or should I split it up through the day? And what are the benefits of splitting my dose? I also deal with a lot of bubbles/bloating in my stomach. I eat paleo 95% of the time, drink a lot of water, and exercise 6x a week. Thank you for any help!! Hi BRianne, I don't recommend over 1200 mg of magnesium in my practice -- so once it gets that high, I recommend including other options...Also magnesium citrate can cause increased stooling and gas - so switching up the form of magnesium can sometimes help. For sleep I recommend glycinate. 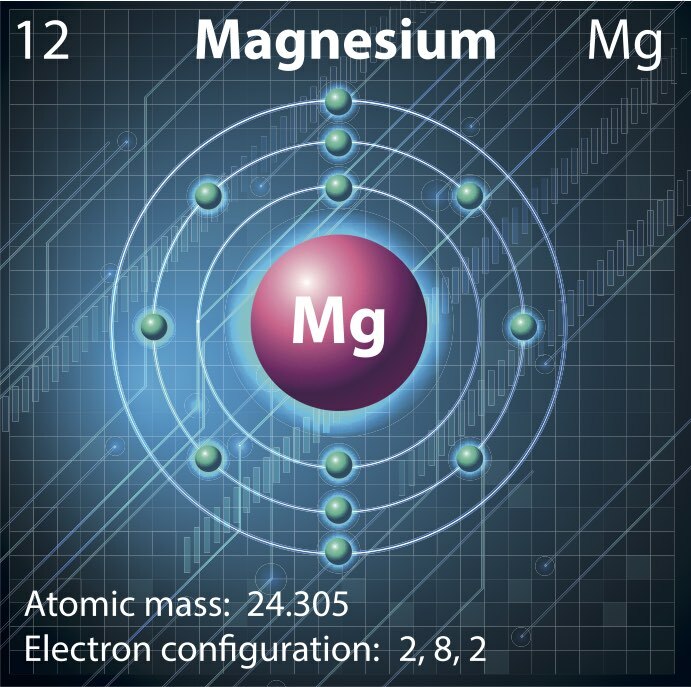 I recently added magnesium to my daily supplements. I ordered the magnesium glycinate you suggested as part of the refresh, however within 2-3 days I was getting very bloated and frequently having bowel movements that would temporarily relieve the bloating then it was back shortly after. I started with only 1 pill a day. Any thoughts on why this could be happening? I suffer from pre-menstrual headaches and was hoping magnesium might help that. I made some other changes like removing dairy from my diet (already gluten-free) and the only other new supplement I added was B-Complex. Thanks! Hi Aviva, your podcast is wonderful! I'm waiting for your book as well. I have restless legs, anxiety & trouble sleeping. I really feel magnesium depleted. And I'm pregnant (7week)! I have been looking for products with good ingredients and I found this http://www.iherb.com/pr/Solgar-Chelated-Magnesium-250-Tablets/64381 Is this product good in this case? I'm taking some prenatal vitamins but they don't contain magnesium only B6. What's up,I check your new stuff named "Magnesium for Women: The Relaxation Mineral - Aviva Romm" on a regular basis.Your humoristic style is witty, keep doing what you're doing! And you can look our website about تحميل اغانى http://www.aghanyna.com/arabic/. And if your are pregnant and you are under stress, having restless legs, trouble falling asleep what dose of magnesium can you take? And should it be with vitamin B6 or taken separately? Hi! I am almost 32 weeks pregnant and have had an eye twitch for almost three months. I have talked with three eye drs and all say I have to wait for it to go away on its own as nothing else is wrong. I have tried 240mg of mg glycinate for two weeks and it didn't affect the twitch if I wasn't pregnant I would try a higher dose...any thoughts? I can also try a higher dose of needed after I deliver, but I will be breastfeeding.